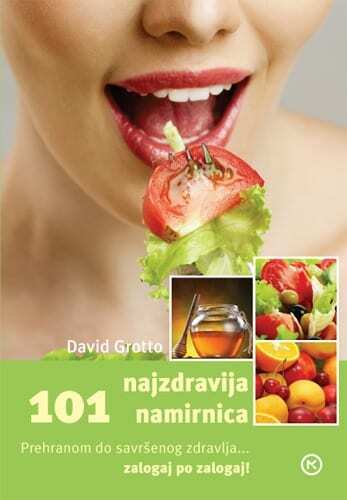 In this revolutionary guide, leading nutritionist David Grotto shares everyday foods that will help to remedy health issues large and small. • Chocolate, tea, and dried plums reduce the signs of aging skin. • Combining walnuts and cherries can lead to the best sleep of your life. • Artichoke leaves bring relief from common stomach ailments. • Oysters can alleviate the effects of crippling migraines. • Wasabi helps treat bad breath. More than twenty-five years of clinical experience have shown Grotto just how powerful food can be in the lives of his patients. Now his individualized meal plans make it easy for you to incorporate healing foods into your own diet, using such tempting recipes as Cherry Zinger Smoothie, Tropical Fruit and Shrimp Gazpacho, and Mediterranean Grilled Bluefish. By combining the most flavorful, nutritious foods in the world with the latest breakthrough research, Grotto will help you become the healthiest you’ve ever been in your life! 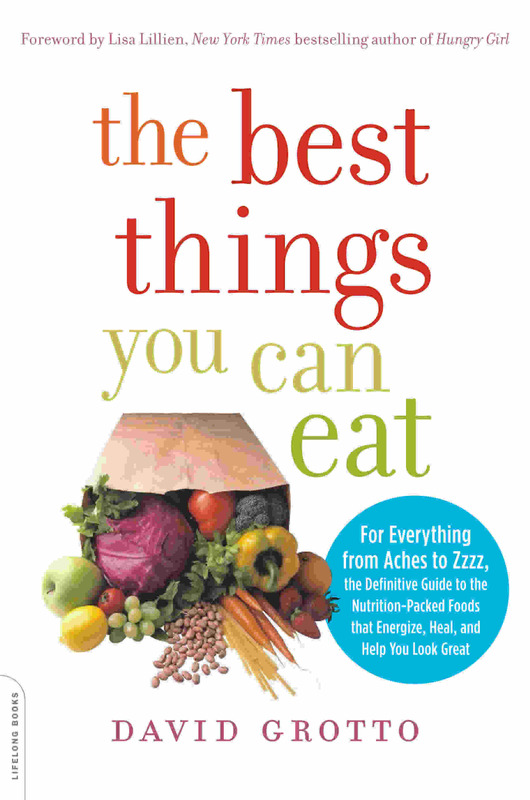 For the millions of Americans tired of hearing about 'what not to eat,' this book is a refreshing and enlightening guide to improving your health by adding delicious foods to your diet. 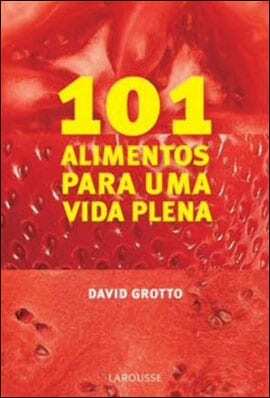 Dave's simple explanations for why these foods are potential 'life savers' makes the book enjoyable to read, and the recipes bring the science to life on your plate. This book gives you "food for thought" about ways to use food to aide digestion, decrease inflammation and even improve your mood. Dave Grotto's simple nutritional solutions for common health conditions can easily become a part of your overall wellness routine. My friend Dave Grotto understands that on the one hand, food should be a daily source of pleasure, and on the other- it is powerful medicine. Unlike with other medicine, however, the 'side effects' of using food to fix what ails you are only good- eating well makes a profound contribution to overall health and vitality, even as it helps relieve symptoms and fight disease. 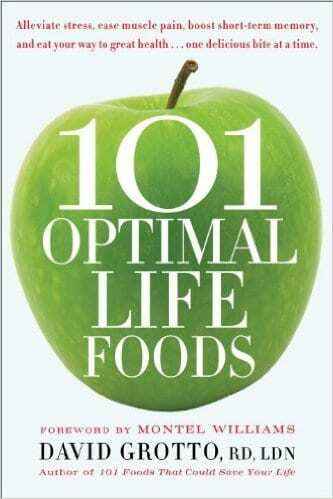 In '101 Optimal Life Foods' Dave expertly puts these two hands together, and gives us all something to cheer: a recipe for pleasure in the pursuit of health, better health in the pursuit of pleasure. David Grotto, RD, LDN, is a former national media spokesperson for the American Dietetic Association, and president and founder of Nutrition Housecall, LLC, a nutrition consulting firm that offers personalized at-home and group dietary guidance. 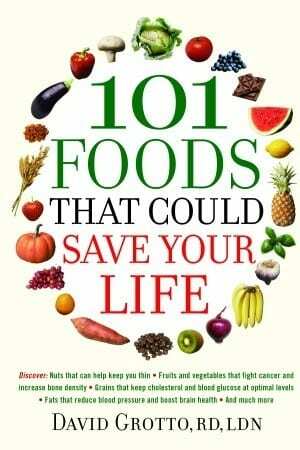 He is also the author of 101 Foods That Could Save Your Life (Bantam Dell/Random House). Grotto lives in Elmhurst, Illinois.